Are you looking for a way to utilise your unused space and add value to your property as well? If you are, then you need to call the experts at Acorn Builders today on 023 8024 3336 / 023 8178 0546 today for the finest loft conversion Eastleigh has to offer. We have extensive experience in the building industry and can provide the best loft conversion in Eastleigh at competitive prices. When it comes to a property, a lot of the time you will have space that is sparsely used and could be transformed into a stunning addition to your living space. In this respect, there is only one company you need to get in touch with and that is Acorn Builders. The loft conversion Eastleigh is becoming a more popular option, and there are many benefits to it. Chief among them is that they are usually considerably less expensive than a full extension, which is great news if you are working on a budget. Secondly, and just as beneficial, is that a loft conversion in Eastleigh will very often not require you to obtain planning permission, which can save months of delays to hear back from the local authority. To start, all you need to do is call us and express your interest in having an Eastleigh Loft Conversion. During the initial phone call, we will be able to gauge an outline for your requirements and set a convenient date to visit your property. This opportunity will allow us to ascertain your specifications in more detail so that we can tailor our service to your exact needs. Next comes the design process for the loft conversion Eastleigh project. Our team of experienced tradespeople pride themselves on being able to give impartial advice and design ideas that can spark the inspiration you have been looking for. When the design is finalised, you will receive a free, no-obligation quotation with no hidden costs – what you see is what you pay for the loft conversion Eastleigh. After everything is agreed and you are ready to start the loft conversion Eastleigh, our team will take care of all of the planning, necessary building permissions, design submissions, and other paperwork so your experience with us for your loft conversion Eastleigh is hassle-free. 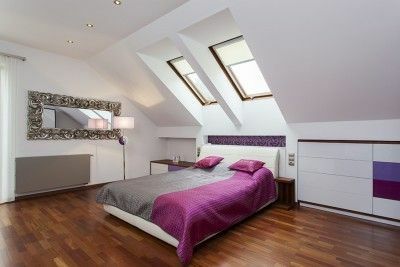 Why Choose Us For An Eastleigh Loft Conversion? We have over 25 years of experience and can provide a quality of work that will not be matched, especially considering our outstandingly competitive prices. Over the time we have been operating and providing, not only have we provided many a client with an exceptional loft conversion Eastleigh, we have garnered a respectable reputation for all of our services. This has led to a great number of our existing clients letting their friends, family, and co-workers know that we are the team they need for any building works. Are you interested in finding out more about Acorn Builders, our team, or any of our services? If you are, then do not hesitate to give us a call on either 023 8024 3336 or 023 8178 0546. Alternatively, if you are the sort of person that likes to put their thoughts and enquiries into writing, you will be pleased to know you can contact us using a handy online form on our website.